I’m interesting to re-enact this kind of experiments. 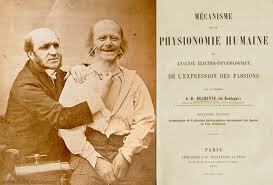 Instead of triggering my muscles with electrical probes I will learn the basics of facial Basic on the scientific research of Duchenne de Bologne I want to try to learn the facial management instead of stimulate it with electricity. For this I use the method called Facial Action Coding System (FACS) to learn to take the control about my own facial muscular activities. 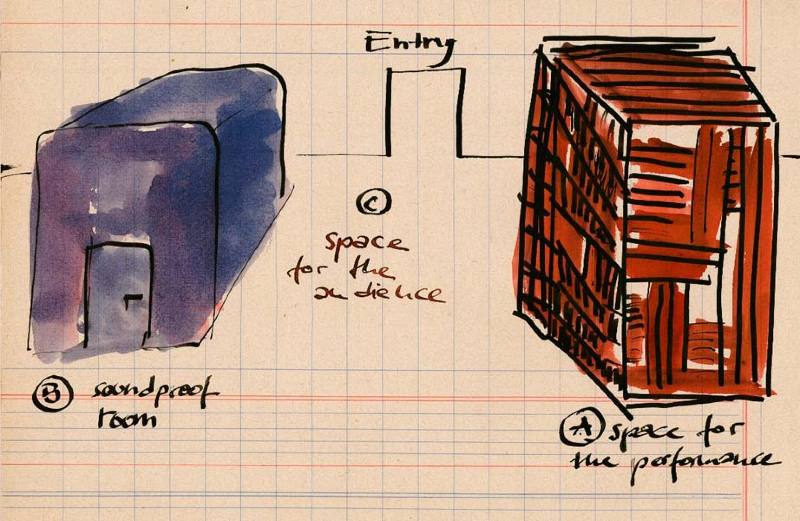 Subtitle: Inquiry into the subject: How much space should be in time? Two smaller rooms are located in a large room. In Romm A I will perform live. Nobody can see the whole thing or what happen in the romm A. There are some gaps and holes in the “walls”, perhaps to see something. As the performer I’ll decide in advance what’s necessary for the audience to see – probably instruments or tools (like beamer, camera or speakers I need to realise the performance. In space for the audience all the voices and sounds of the performance can be heard. The third room, Room C, is soundproofed. In this space, the performance will be broadcast live – but no sound. One can never experience the performance as a whole. The stage is difficult to see from three sides. at the stage elements are constructed to prevent the view of the performance. Important passages of the performance can be seen half or not. The fourth side of the stage can not be viewed. In this backstage room a camera is mounted. 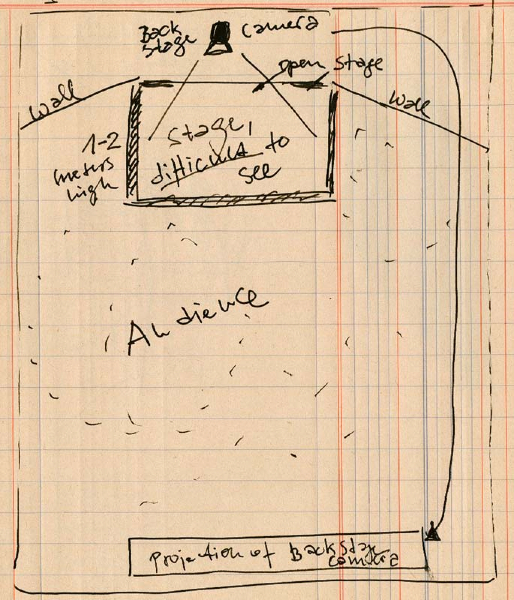 This camera records the “rear wall” of the performance. This is the position, which no one can take. This recording is projected in the back during the audience. A reflection. Someone who wants to see this part of the performance must turn away from the front of the stage. The record is also the documentation of the performance.